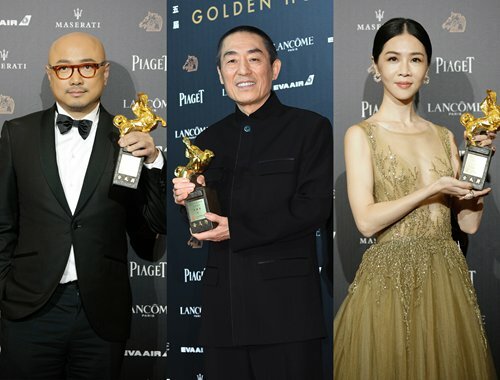 Acclaimed Chinese director Zhang Yimou's martial arts epic Shadow took the most gongs at Taiwan's Golden Horse film awards on Saturday, dubbed the Chinese-language "Oscars." Zhang, the maker of classics such as Red Sorghum and Raise the Red Lantern, won best director for the film inspired by traditional ink-brush painting which also bagged three technical awards. "I've made movies for 40 years and this is my first Golden Horse [best] director nomination. I want to thank the jury for giving me the award," Zhang said at the ceremony at Sun Yat-sen Memorial Hall in Taipei. Shadow led the race with 12 nominations including best film but lost the coveted prize to An Elephant Sitting Still directed by Hu Bo, who died last year aged 29 in Beijing. Hu also won best adapted screenplay for his first and last film - a nearly four-hour-long story about four struggling small characters based on his novel. "I want to thank the jury and the audience again," his mother told the crowd after she accepted the best film statuette for him. China's 29-year-old filmmaker Bi Gan lost best director to Zhang, but his 3D drama Long Day's Journey Into Night still collected best cinematography, best sound effects and best original film score. Taiwan's theater veteran Hsieh Ying-xuan beat better-known Chinese mainland rivals to claim best actress with her first movie Dear EX. In the film she played a woman dumped by her husband who came out of the closet and fought for his inheritance against his gay lover. Chinese mainland actor Xu Zheng won best actor for his role as a smuggler of leukemia drugs who ends up helping the sick in the box-office hit Dying to Survive. That movie also won best new director for 33-year-old filmmaker Wen Muye. "I want to thank every member of the production... it's difficult to put hair on my head and I have two hairdos in the movie," joked Xu, who is bald. Taiwan filmmaker Fu Yu's Our Youth in Taiwan, about the island's 2014 "Sunflower Movement" won best documentary. During her acceptance speech, Fu expressed her support for the independence of the "Taiwan nation." Her words upset many and were later contradicted by Chinese actor Tu Men, a former Golden Horse Winner for Best Actor. "It is my honor to be here at the Golden Horse Awards in China's Taiwan, where I can meet a lot of new friends and feel the strong connections between the Chinese mainland and Taiwan," Tu said, while presenting the award for Best Actress. 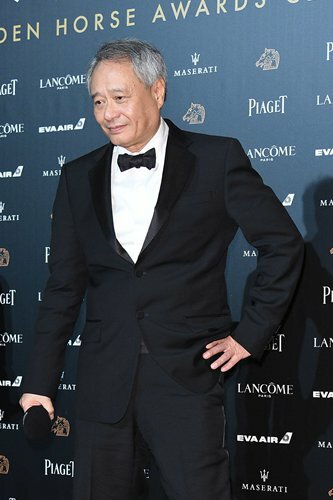 Later in the evening, Gong Li, the chair of the jury and the leading actress in many of Zhang Yimou's movies, showed her dissatisfaction toward Fu's statement by refusing to take the stage to present the Best Feature Film along with Ang Lee, the famous Oscar-winning director. "I hope we can do pure art, without any politics getting involved," Lee told media after the awards. "I am asking for respect from all of you." A number of Chinese mainland celebrities posted messages with the hashtag "China: Not even a bit can be left behind" on Chinese social media platform Sina Weibo to support Tu's speech and Gong's action. Chinese celebrities from hit boy group TFBoys to singer Kris Wu and actress Fan Bingbing also posted comments on a post from the Central Committee of the Communist Youth League supporting the hashtag that had been reposted more than 5 million times. In one comment, Hong Kong actor William Chan wrote, "Please read it, Chinese Taiwan."